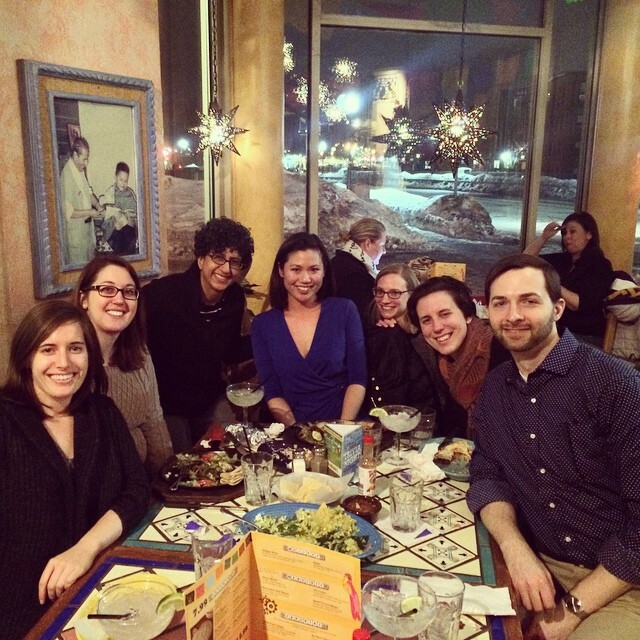 Sociology graduate students enjoy a dinner out. Gender and Feminist Studies emphasizes a critical analysis of basic assumptions within sociology and feminist theory about the matrix of gender, class and race. It investigates structural inequalities and the reproduction of those hierarchies in social processes and in everyday life, and even examines the ways that gender itself is constructed. In the process, the program analyzes the various contradictory and overlapping ways feminists with different theoretical starting points investigate and explain social phenomena. In addition to the theoretical explorations and empirical analyses of the family, work and other institutions, the program attends to the collective action of women and the contributions of individual women to the sociological discipline, to political movements and to the making of history. Because of its flexibility and ecumenical approach to sociology, the graduate program has long been an incubator for innovative and path-breaking work. It has proven to be a fruitful place for students interested in feminist scholarship. The program connects to the Women's, Gender, and Sexuality Studies Program through faculty, courses that are cross-listed and the joint sociology and women's, gender, and sexuality studies master's degree program. This area focuses on the ways that power, meaning making, collective action, and civic association are related to social and cultural change. The program's faculty and students examine these dynamics from a variety of angles, including nationalism and transnational processes, community organizing and social movements, the cultural meanings of economic action, urban institutions, and the numerous ways religion is present around the globe. Through analysis of the structures, vocabularies, and practices that shape identities, inequalities, and systems of morality, we study how actors experience these phenomena and understand possibilities for societal transformation. There are opportunities for students to supplement the Sociology Department's curriculum by taking courses in the Departments of Politics, History, and Anthropology, and the Heller School for Social Policy and Management. Students are also encouraged to take advantage of the many resources in complementary programs and centers in the Boston area.